Ferozsons’ corporate vision at the very outset involved creating a better world for people around us. It is strongly indoctrinated in our value system to ensure the welfare of people and the communities we operate in. Our Corporate Social Responsibility (CSR) vision is focused on supporting activities that sustain a healthy, educated, and humane society. In addition to various relief efforts and lending financial assistance, we are a company that believes in the intellectual growth of the society so it is pivotal for us to support creative expression through art, education and literature. Ferozsons invests significantly to support activities focused on uplifting healthcare for communities by working closely with hospitals, patients and other healthcare and non-profit organizations. Our aim is to contribute in improving the health outcomes for the people of Pakistan. Our disease focused strategies such as Hepatitis C elimination is in line with the country’s goals under the World Health Assembly charter that Pakistan is a signatory to and which promises to eliminate the disease from the world by year 2030. By associating ourselves to initiatives that aim at socio-economic and cognitive uplift of people, we are striving to improve their lives and lead the country towards progress and development. Following are a few initiates we are proud to support, many of which are regularly supported by Ferozsons Laboratories year on year. Ferozsons Laboratories Limited and Ali Institute of Education collaborated to take the message of Hepatitis awareness and prevention to schoolchildren across a number of districts in Punjab. The aim of this campaign is to create awareness in children so they are able to take the message to their families and help in prevention from the viral disease that has a prevalence (Hepatitis B & C) of up to 10% in Pakistan, according to various estimates. As our awareness partners, AIE mobilized resources through their trainers to implement this programme in schools across the districts of Bhakkar and Hafizabad as well as the city of Lahore, in which the outreach extended to almost 50 schools. More than 7,000 school children and over 200 teachers were engaged and given knowledge of the disease so they can take simple measures to prevent themselves and their families from Hepatitis. Ferozsons Laboratories Limited collaborated with acclaimed writer, Musharraf Ali Farooqi to produce stories in the shape of board games which highlight the causes of contraction of Hepatitis virus. These stories are centered around a children’s character, Moochander created by the writer. Musharraf is a Harvard University South Asia Institute Fellow where he worked on his Kahani Se Kitab Tak Program to introduce Urdu classical literature to children through a graduate reading program, currently running at top Pakistan schools. ‘A Kilo of Kindness for a treat of ice cream’ is a global CSR campaign by Mövenpick Hotels & Resorts in which the Mövenpick properties collect learning supplies such as books and stationary for students of less privileged backgrounds. 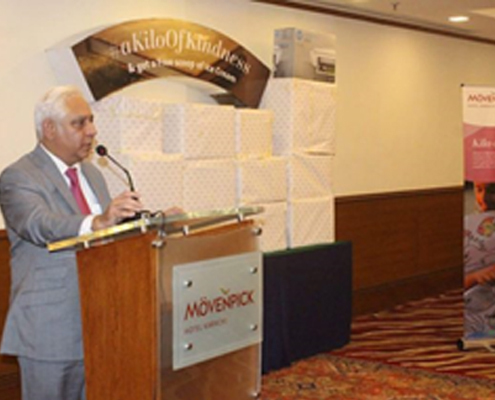 Mövenpick Hotel Karachi has also taken part in the campaign where school supplies were collected for a small charitable educational institute i.e. “The Street School” run by two enthusiastic teenagers in the city. Ferozsons Laboratories Limited lent support to this campaign as a corporate citizen that will help in equipping school supplies to the kids at the school. Our CSR vision is always focused on supporting such activities that sustain a healthy, educated and humane society. In line with our commitment to encourage literature, creative expression and art in the country, Ferozsons Laboratories is amongst the list of supporters of Lahore Literary Festival held annually. The fifth edition of the annual LLF held in February 2017 was supported by Ferozsons Laboratories Limited amongst other sponsors. The free and open-to-public event featured prominent writers, historians, artists and key opinion leaders from home and abroad, who in a series of introspective and insightful discussions touched upon different facets of the socio-political changes unfolding in the world. Being an organization committed to the welfare of our people, we are delighted to have been a part of this exciting initiative. Ferozsons continues to support art and literary ventures that help in creating a more open and humane society. Ferozsons has been working closely with artists and the art community over the years to explore how it can play a positive role in clinical settings. Projects utilizing art for improved healthcare were carried out including the patient’s ward at Mayo Hospital in Lahore and patient’s waiting area at Jinnah Postgraduate Medical Center in Karachi. Both these projects make an effort to bring a pleasant change to the otherwise mundane environs of the hospitals. A new project with the help of Ziauddin University Hospital is now complete that has painted the kid’s play area in an exciting mélange of colours. Adeela Suleman, Head of the Department of Fine Arts at the Indus Valley School of Art & Architecture says, “All over the world hospitals are turning to art as part of a broader push to create a therapeutic and healing environment. 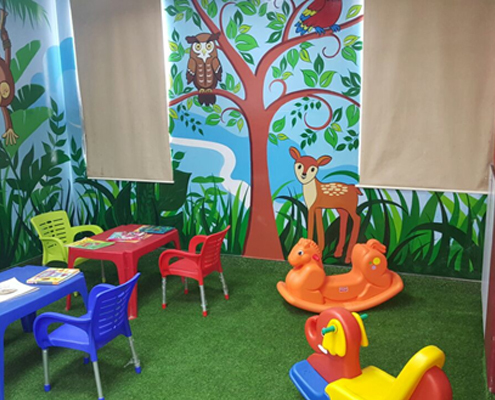 Studies show that visual art can help reduce stress, anxiety for patients and increase satisfaction with care.” The children play area at the main campus of Ziauddin hospital in Karachi and the Pediatric ward are beneficiaries of this artistic overhaul. 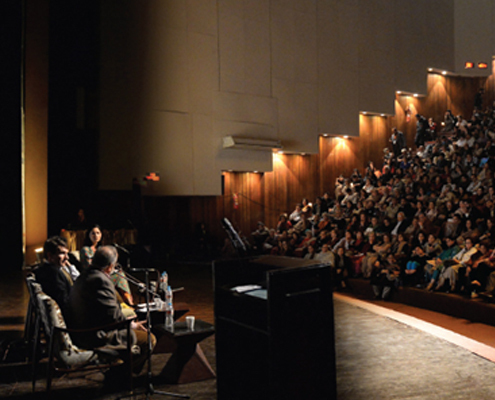 Art for Humanity is a unique collaboration between BF Biosciences Limited and the National College of Arts, Lahore. Under this partnership, BF Biosciences Limited provides need-based scholarships for students attending NCA. In exchange, the college has agreed to include in its curriculum an annual field elective, in which 3rd year students and NCA faculty work with the company to improve the environment in a public sector hospital through the use of art. Our first elective, conducted in 2012, took place at the Oncology Ward of Mayo Hospital Lahore. 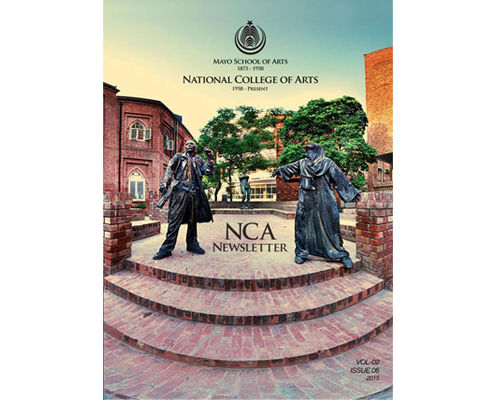 NCA Scholarships page https://www.nca.edu.pk/Awards-Scholarships. For further details on this initiative, click here. Art for Humanity" – a project aimed at creating humane spaces in various clinical settings in Sri Lanka – is now in its fourth year. This collaboration between Ferozsons Laboratories Limited and the University of Kelaniya in Sri Lanka is a testament to the commitment of Ferozsons to create livelier spaces for patients. 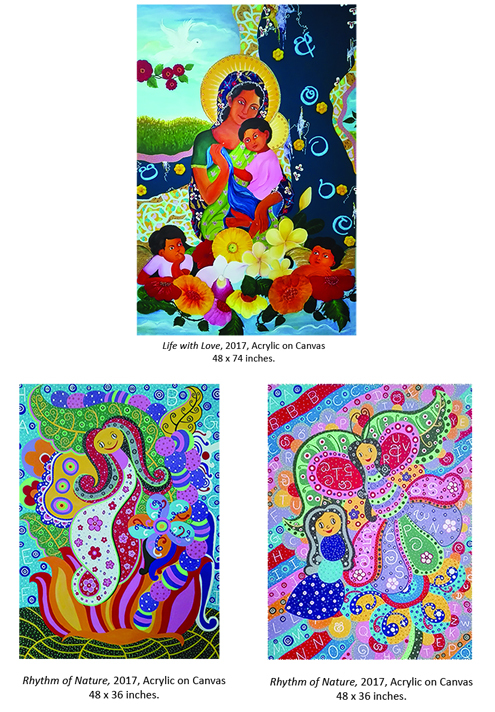 A number of medical institutes across Sri Lanka have benefited from these artistic interventions in clinical settings. This project is led by the Visual Arts & Design and Performing Arts Unit, Department of Fine Arts at the university. This year, National Institute of Medical Health and St. Joseph’s School for Deaf and Differently were targeted to carry out these projects. A catalog was prepared by the students for the exhibition of art work that was held before implementing the art work in the St. Joseph's School for Deaf and Differently able children located at Ragama, Sri Lanka. The exhibition generated inspiring and positive feedback from the school and the public (the parents and the visitors as well). Mrs. Prashanti, the coordinator of this project said, “The heart breaking scene was that all or many of the kids were enjoying and learning by looking at touching the art work. I just thought if you were there... to witness how much your effort has blossomed and how much we were blessed to support that mission to help community through the medium of art. The Citizens Foundation (TCF) is a, non-profit organization set up in 1995 by a group of citizens who wanted to bring about positive social change through education. 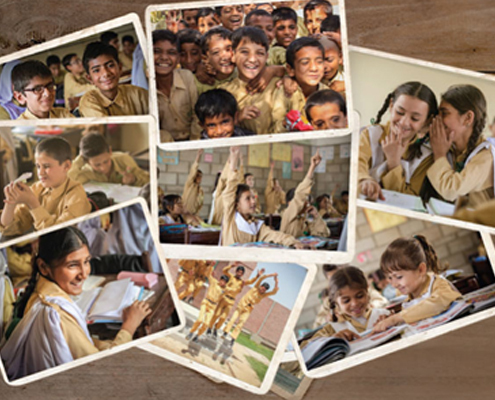 22 years later, TCF is now one of Pakistan’s leading organizations in the field of education for the less privileged. Ferozsons has historically support the cause improving access to education and therefore supported a fundraising play organized by TCF. The performance of, an epic folklore, ‘Heer Ranjha’ was widely appreciated. 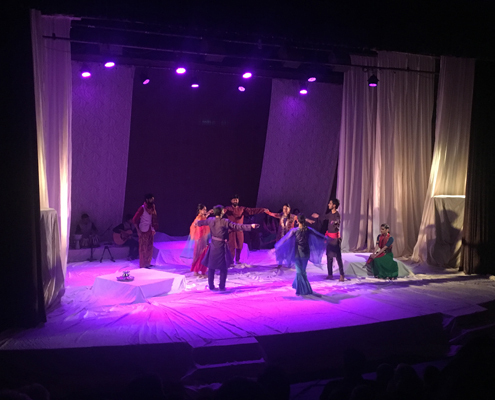 Zain Ahmed, the Director of the play said, “Bringing Heer Ranjha to theatre is a small step to revitalize people’s interest in classic Urdu literature. Ferozsons annually supports the National Outreach Programme (NOP) of the Lahore University of Management Sciences (LUMS). Our scholarship endowment fund supports need-based scholarships for NOP students at the Syed Babar Ali School of Science & Engineering and the Mushtaq Gurmani School of Humanities & Social Sciences at LUMS. The NOP Scholarships Programme is designed to fully fund the educational expenses of the undergraduate programmes at LUMS for students with exceptional Matriculation and FA/FSc results. 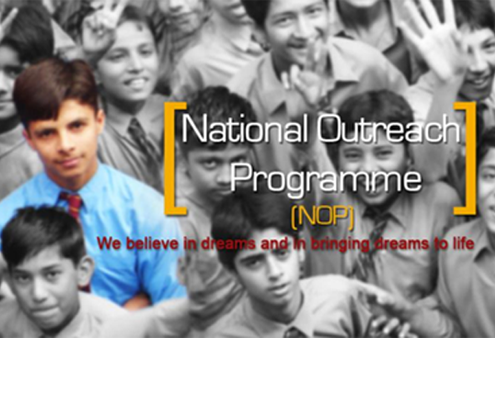 We encourage visitors to our website to also consider supporting the LUMS National Outreach Programme. Click here to learn more about this exceptional project. A balanced society needs writers and artists as no less than it needs scientists, entrepreneurs and engineers. 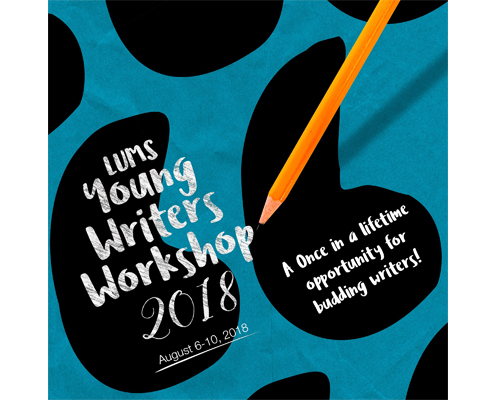 To help encourage the craft of creative writing in Pakistan, Ferozsons Laboratories Limited is proud to support LUMS for it’s the annual Young Writers Story Competition & Workshop where writers between the ages of 18 to 26 are invited to submit stories in a national competition. 8 winners are then selected to participate in a one week, expense-paid residential workshop at LUMS, taught by faculty member and internationally published writer Bilal Tanweer. Each workshop features a guest writer. Some of these writers include Mohsin Hamid, award-winning author of Moth Smoke and The Reluctant Fundamentalist, Musharraf Ali Farooqui, a Harvard University South Asia Institute Fellow and author of novels Between Clay and Dust (Finalist, Man Asia Literary Prize 2012), and The Story of a Widow (Finalist, DSC Prize for South Asian Literature, 2008; long listed for IMPAC/Dublin Literary Prize). Education is one of our primary focus areas. In memory of the founding Chief Executive of Ferozsons Laboratories Limited, Mr. Khalid Waheed, the Company together with members of family has funded the establishment of the TCF Khalid Waheed Campus at Kot Addu, Muzzafargarh. With 10% of the world's population of children deprived of primary schooling residing in Pakistan, primary education remains one of our greatest obstacles towards development. The company also supports TCF annually in promoting access to primary education through funding and sponsorships of various projects and events. Ferozsons Laboratories Limited is proud to support The Citizens Foundation (TCF) in its efforts to make primary education accessible to the underprivileged. Visitors wishing to find out more on how support the Citizens Foundation are encouraged to click here.